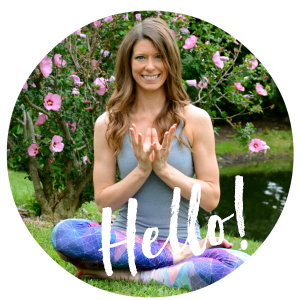 Even if you haven’t been reading my blog for very long or ever before, chances are you’ve heard of barre classes. Some have even gone so far to say that barre classes are the workout of 2015. Barre classes are a lot of fun, they’re often set to great music, and they’ll give you a full body workout in an hour. 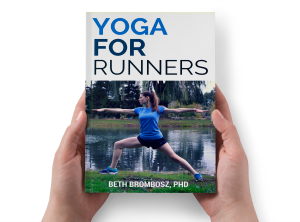 Are you interested in taking barre but don’t know what you might be getting yourself into? Here’s what to expect during your first barre class. You’ll feel like you don’t know what you’re doing. Most people new to barre walk in having no idea what to expect. Once they’re in class, they’re able to generally follow along, but they feel a little lost. If this is you, know that the feeling is completely normal. Different barre studios teach slightly differently, but at Pure Barre (where I teach), our classes are very different from a ballet class. Someone who’s taken dance for years may still struggle through some of the small, almost isometric movements. But everyone has been there. Every student in that class has had that experience of taking their first barre class, so don’t be afraid of being judged. In fact, other students may openly commiserate with you if they hear it’s your first class. So, try not to dwell on it too much if you feel lost, because you’re definitely not the first person to feel that way, and a week or month or year from now, you’ll be the experienced one telling the new girl or guy in class that it’s totally normal to feel a little lost. Don’t be a hero with the weights. 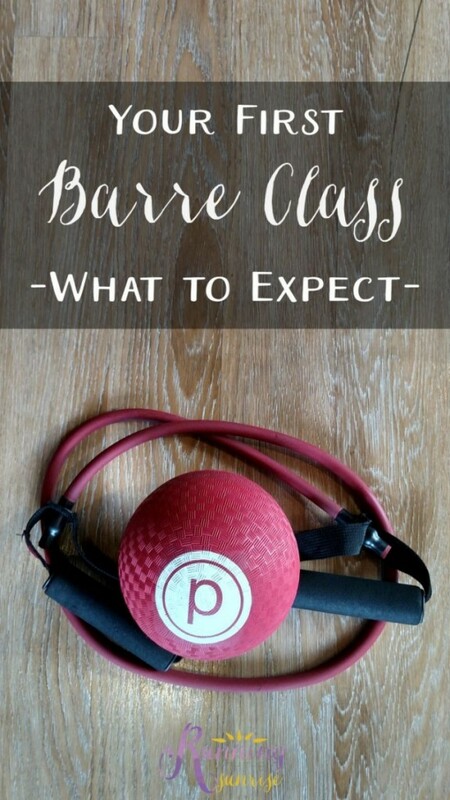 Again, different studios teach things slightly differently, but at Pure Barre, there’s a good chance that you don’t want to start with the five pound weights if it’s your first class. I still just use the two pound weights and get a great workout. However, other barre styles do use heavier weights because their movements are a little different. Ask your teacher before class what he or she recommends, and consider grabbing a lighter and a heavier set of weights if that’s okay at your studio, just in case. You may start shaking. Your muscles might start shaking, and that’s okay. That just means they’re getting fatigued, which means you’re working hard. I shake all the time when I take class, especially when we’re working our thighs! You’ll fall in love! You may hate it when you’re in the middle of it (I know I’m swearing at my teacher under my breath half the time), but after class you’ll feel wonderful. You’ll start to wonder when you can schedule your next class. You’ll start to find yourself doing little barre moves at your kitchen counter. You’ll laugh at barre memes that you see on Facebook or Pinterest. And then you’ll realize one day that you’ve become one of the people in class who feels confident in what they’re doing, one of the very people you looked up to during your first barre class. Barre lovers: Anything else you would add? What were your thoughts during your first barre class? I took a Bar Method class earlier this year and it was such a challenge (in a good way)! I was so surprised. You’re totally right about the weights. GO light! Great tips! I love barre workouts (both ballet and the fitness barre workouts). I will share this on my Facebook community page. Great tips! You’re so right about the weights – barre is about precision and that makes any weight feel heavy! Thanks, Laura! I know I’m not an expert in all types of barre, but I know for Pure Barre you don’t need really heavy weights to get results. It’s all about finding and making your own resistance to work against! I don’t know why still but the last post of yours to come up on my Bloglovin was from either the 6th or 7th. WHAT IS HAPPENING INTERNET?? I’m wondering the same thing. I contacted Bloglovin’ DAYS ago and still haven’t heard back from them. Womp womp. Hopefully they figure things out soon. My RSS feed has my latest posts, so I don’t know what the deal is. Thanks for clicking over manually and reading, Erin! I really appreciate it!